VMware is introducing new features to make deploying OpenStack clouds simpler and more cost-effective as well as allow customers to use existing VMware vSphere workloads in an API-driven OpenStack cloud. 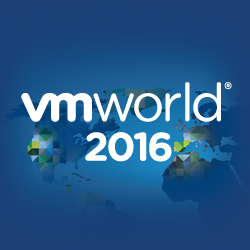 Today at VMworld 2016, VMware, Inc. (NYSE: VMW) unveiled two new capabilities of VMware vSphere Integrated Containers, which enables IT operations teams to provide a Docker compatible interface to their app teams, running on their existing vSphere infrastructure. New container registry and management console features round out VMware vSphere Integrated Containers to further help IT teams operate containers in production with confidence. 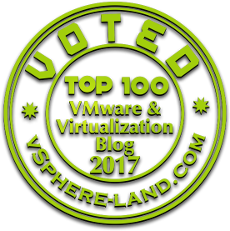 Today at VMworld 2016, VMware, Inc. (NYSE: VMW) announced a new unified endpoint management approach for managing Windows 10, along with advancements to VMware Horizon and VMware Workspace ONE. New Unified Endpoint Management Technology Combines Enterprise Mobility Management With Traditional PC Lifecycle Management for Comprehensive Windows 10 Support. These innovations help advance the digital workspace embraced by the industry and solve the challenge of supporting an increasingly mobile workforce that demands anytime, anywhere access to all applications from any device.